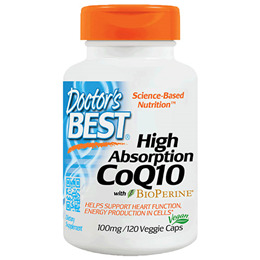 High Absorption Coenzyme Q10 contains pure, Coenzyme Q10 in a base of rice powder, plus BioPerine, a herbal extract that enhances CoQ10 absorption. Coenzyme Q10 is important for maintaining a healthy heart and normal energy release through the years. It is acknowledged that the amount of Coenzyme Q10 present in the body declines with age, so supplementing the diet may help in maintaining a healthy heart. Coenzyme Q10 is a vitamin-like substance whose actions resemble those of vitamin E. It is fat-soluble and is stored in the fatty tissues of the body, reducing the need to ingest large quantities. Since Coenzyme Q10 is oil soluble, it is best absorbed when taken with oily or fatty foods, such as fish. It plays a critical role in the production of energy in every cell of the body. It supports healthy circulation and is a powerful antioxidant. Coenzyme Q10 also works as an antioxidant and may be more powerful than Vitamin E.
As a dietary supplement, take 1 vegicap daily with food. For maximum absorption, take with a fat-containing meal. 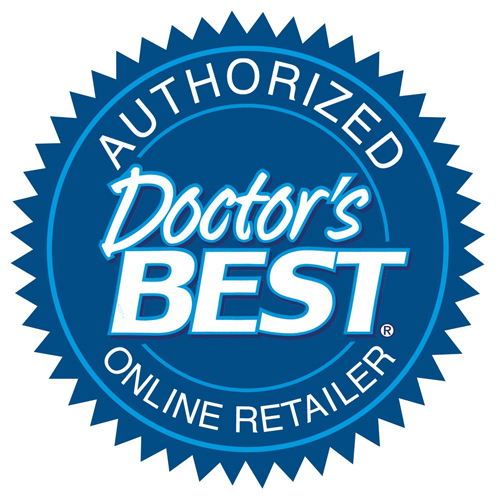 Below are reviews of High Absorption CoQ10 - BioPerine -120 x 100mg Vegicaps by bodykind customers. If you have tried this product we'd love to hear what you think so please leave a review. I have suffered from chronic fatigue for many years and was advised to go on COQ10. As you get older your body makes less and it helps with lower high blood pressure. This seems to help with all of these health problems. Very good value and does exactly as required. Good value and a really high spec. Delighted. Bought these for energy and to help with mouth healing. Not helping mouth so disappointed. Can't say if not good just not helping my problem. As I am progressing to old age, the CoQ10 has helped to bolster my metabolism. It is also value for money. Definitely worth taking !! I have a mitochochondrial illness which results in poor energy production. Co-Enzyme Q10 supplement was recommended by my neurologist. I've been taking this brand for several years now and find them very helpful. not a bad product at all but personally I would prefer a soft gel caps other wise I cannot fault it. Usual easy ordering and efficient delivery. Harder to quantify the effect of taking CoQ10 but I'll persevere. Have only just begun taking this product but it seems to be helping me. I must also add that this product was delivered safely and promptly and I am very grateful. Question about High Absorption CoQ10 - Bioperine - 60 x 100mg Vegicaps Is it safe to take coenzyme q10 if you have a cholesterol of 6.9 and are on statins? 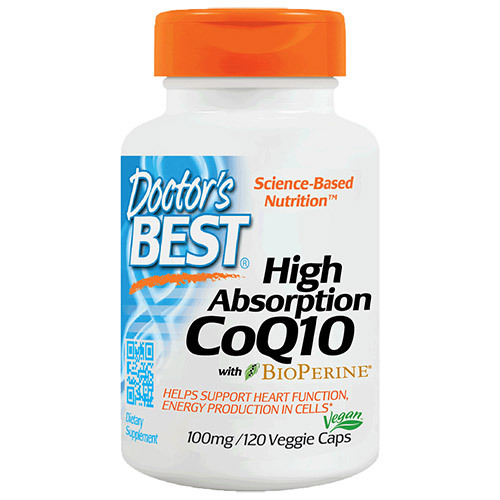 Doctors Best High Absorption CoQ10 with BioPerine contains fermented Japanese CoQ10, which helps support and maintain a healthy heart and promotes energy production in cells. Contains pure, vegetarian Coenzyme Q10 in a base of rice powder.